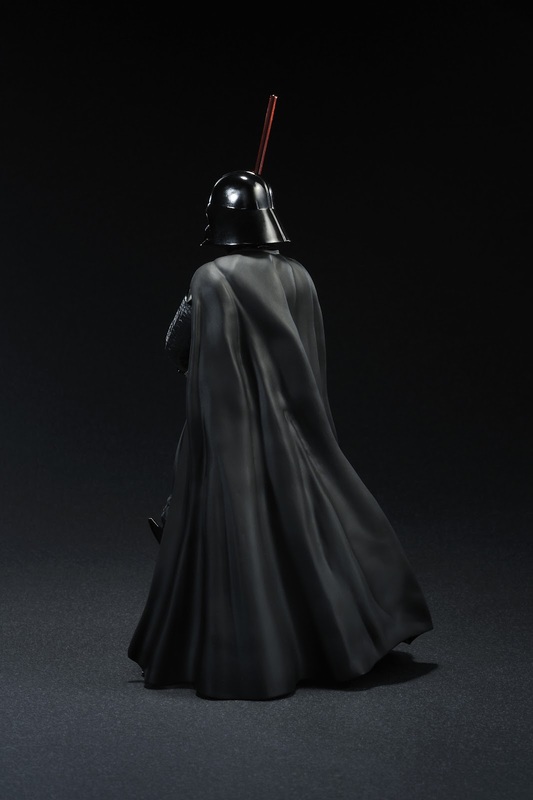 Darth Vader and Boba Fett are the newest additions to Koto's excellent line of ARTFX+ statues. Click through for a ton of shots of the character collectibles in non-action. Kotobukiya makes a super high quality product across a bunch of different lines. 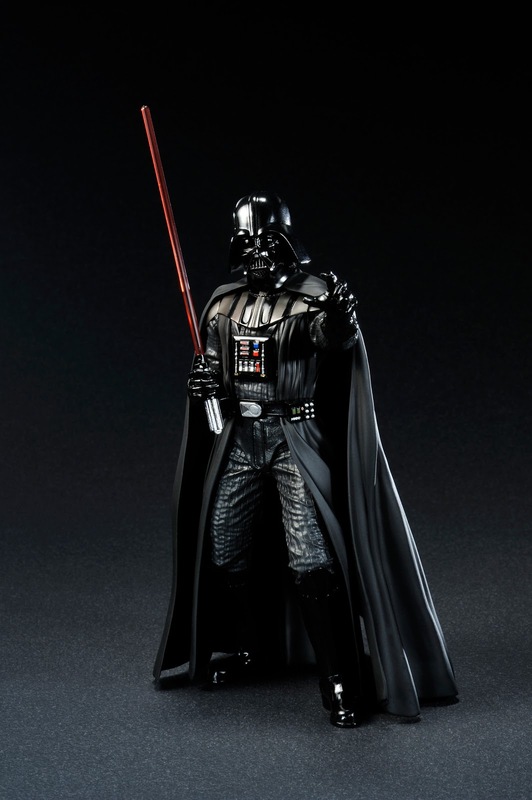 Their Star Wars series and Marvel statues are particularly great. Whenever the company releases something new, it's almost mandatory for fans to check it out. 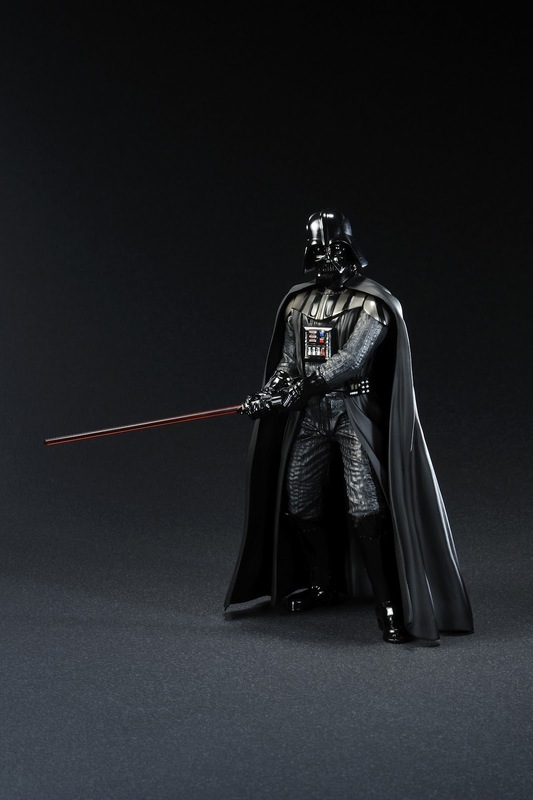 These new Star Wars collectible statues? Extremely worth your time. A KOTOBUKIYA Japanese import! 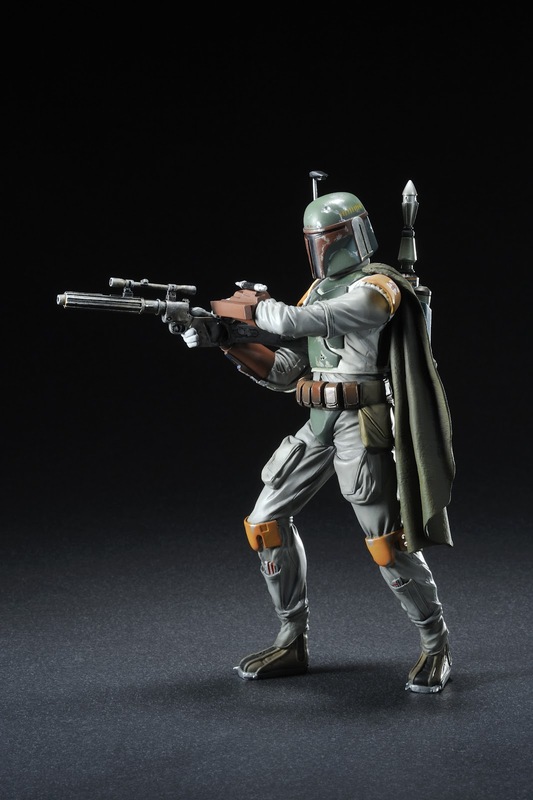 The galaxy’s most feared bounty hunter returns to the hit line of smaller scale Star Wars Saga Collection ARTFX+ Statues! 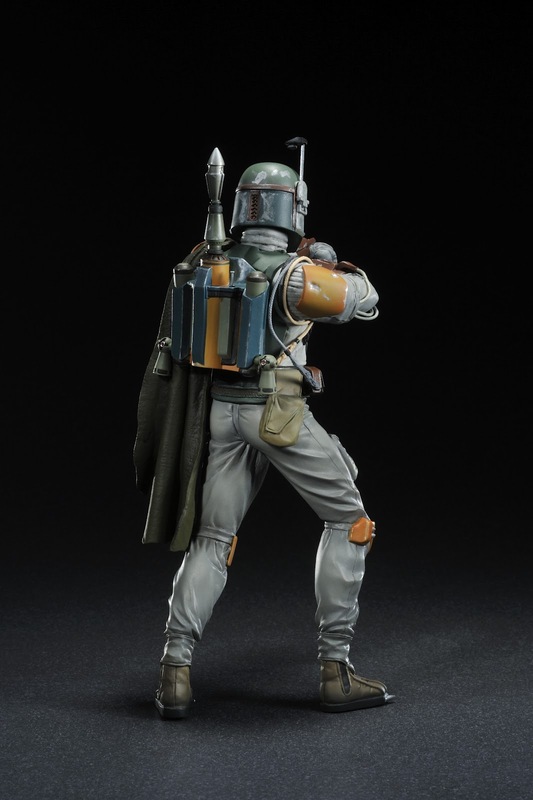 A clone of Jango Fett and one of the freelancers chosen to hunt down Luke Skywalker for Darth Vader, the armored jetpack-toting mystery man joins the ARTFX+ line in a new version representing his appearance in the final film: BOBA FETT RETURN OF THE JEDI VER.! 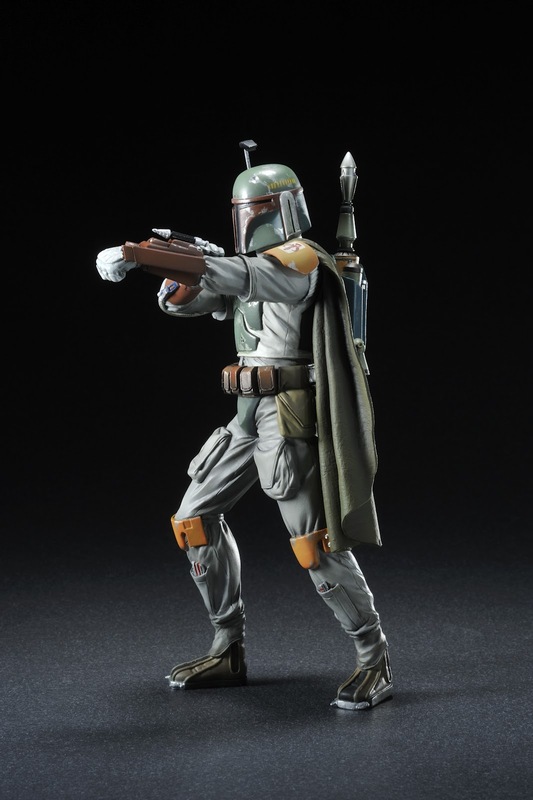 With an all-new sculpt and paint scheme this is a great successor to the previously offered Empire Strikes Back Fett. Cold and calculating, Boba Fett is never encountered without his full suit of Mandalorian armor and trusty blaster rifle. 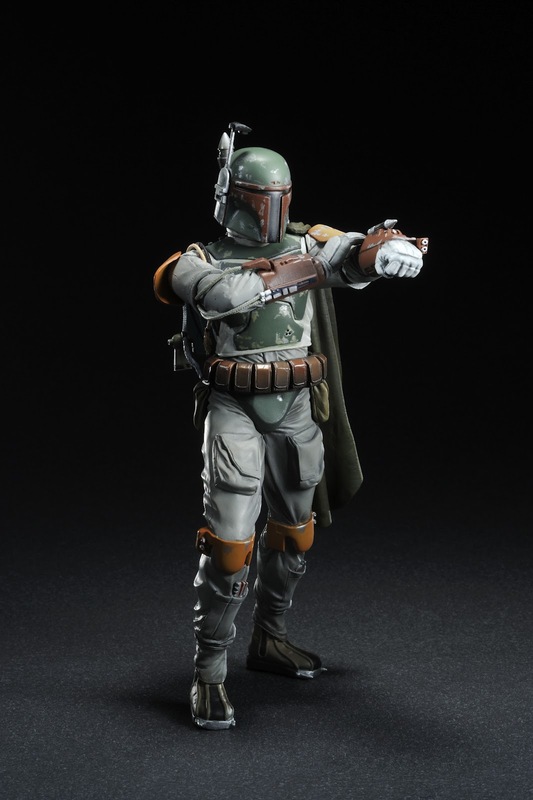 The armor plating over a full-length bodysuit clearly shows the wear and tear of a life of crime, along with all of the personal touches added by Fett over the years like the cape and unique built in weaponry. 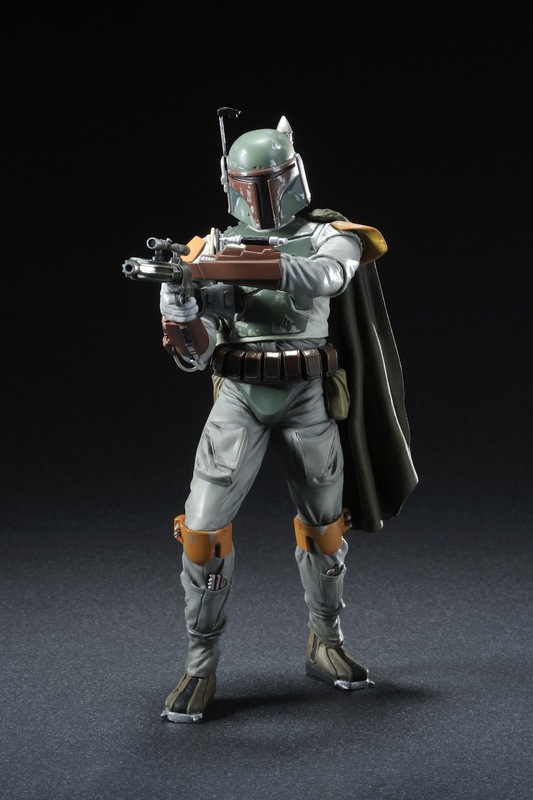 The bounty hunter is a perfect likeness of the character specifically from Return of the Jedi, down to the correct colors on his armor and cape. 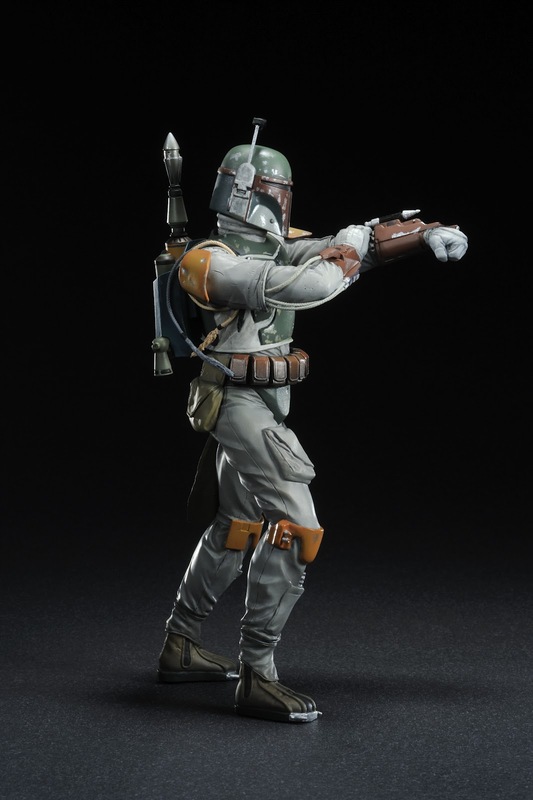 Boba is posed in a new fighting stance and comes with interchangeable parts so you can display him wielding his iconic blaster or preparing to fire his wrist-mounted gauntlet weapons! Like all of the Star Wars ARTFX+ statues, Boba Fett has magnets in his feet for extra stability on his included display base. A KOTOBUKIYA Japanese import! 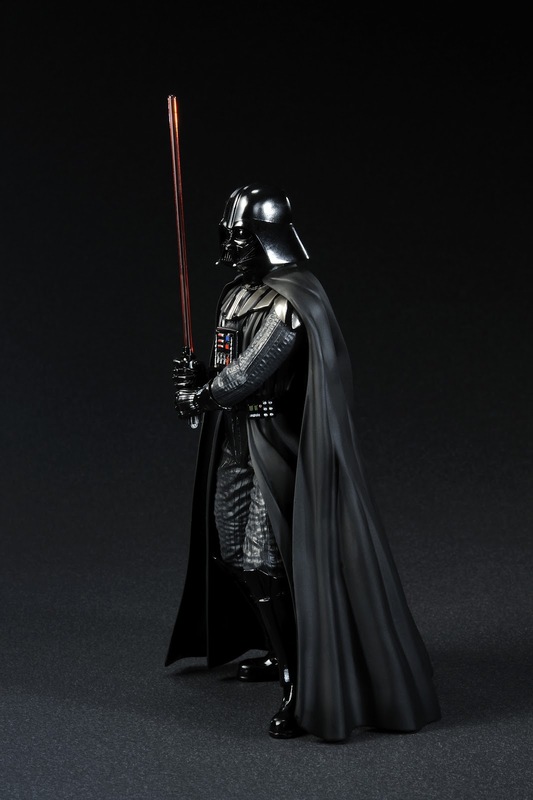 The Dark Lord of the Sith is back! 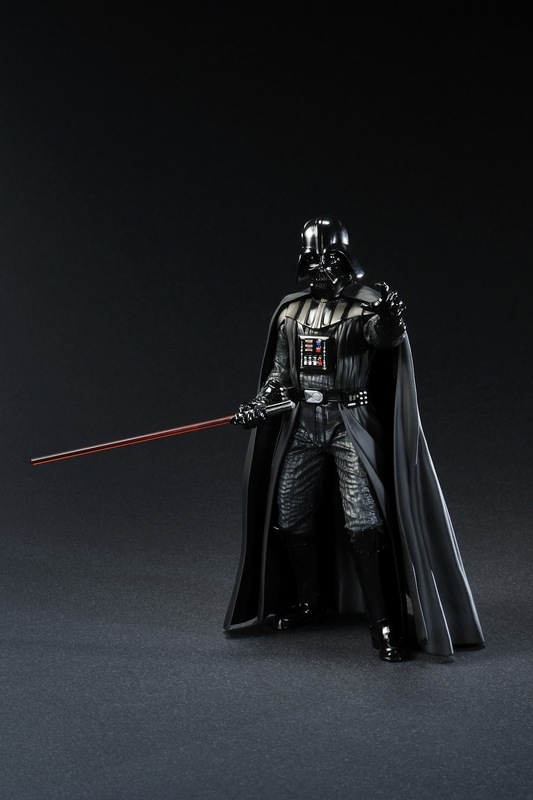 The latest release in the hit line of smaller scale Star Wars ARTFX+ Statues steps right out of Return of the Jedi: DARTH VADER RETURN OF ANAKIN SKYWALKER ARTFX! 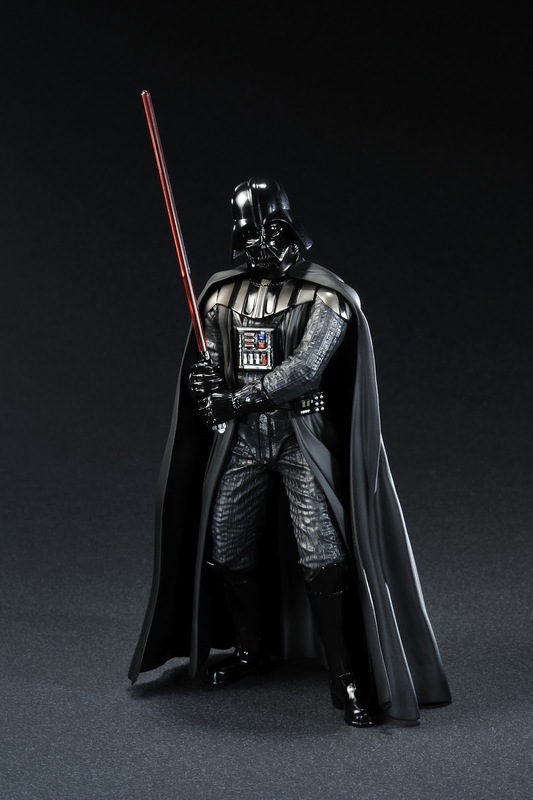 An all new representation of the iconic villain, Vader joins the elite lineup of your favorite heroes and villains from the original Star Wars films in the Saga Collection, following great statues like The Empire Strikes Back version, Boba Fett, C-3PO, and R2-D2. 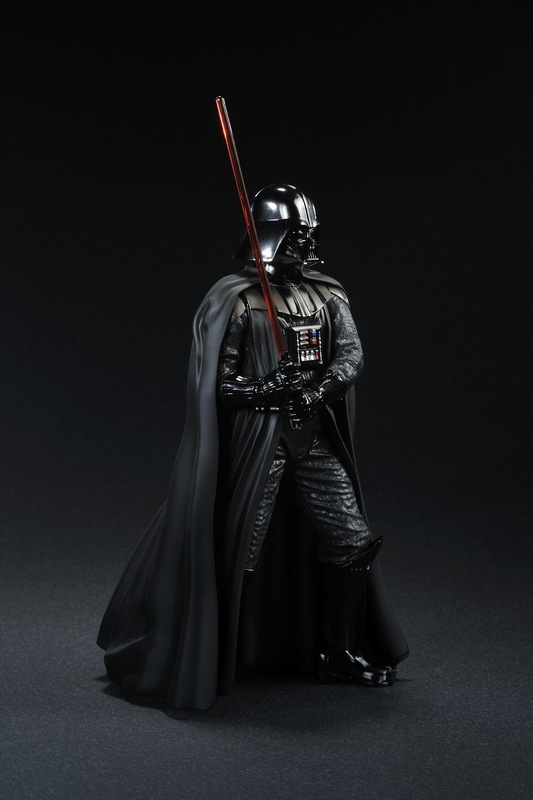 Great stuff as usual from Koto- expect the Dark Lord of the Sith to storm retail shelves this December and Boba Fett to just before on November 22nd. Both statues will be priced at $49.99 USD.